Thank you Natta Cosme for introducing this all purpose skin cream to me! I was quite curious when I noticed the word ‘Magic’ printed on the packaging. 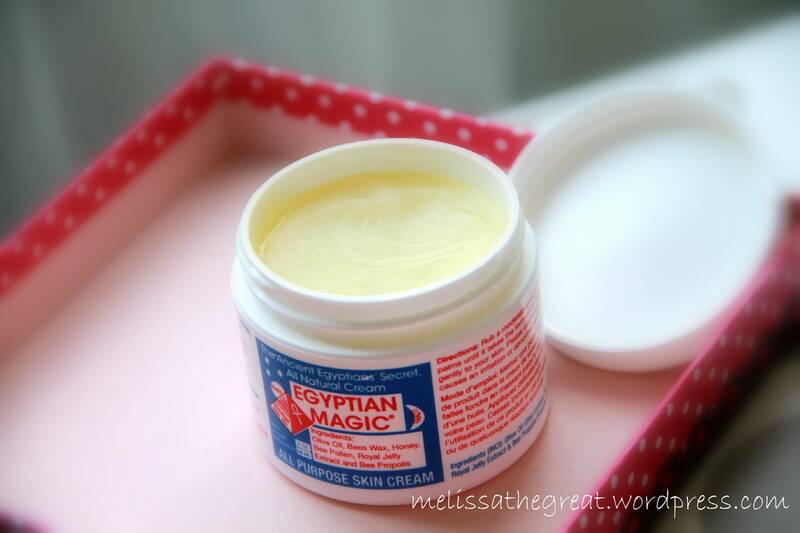 This Egyptian Magic All Purpose Skin Cream sounds pretty convincing isn’t it? Egyptian Magic All Purpose Skin Cream, the People’s Choice, is a phenomenal healing balm with legendary powers due to its unique mixture of all natural ingredients derived only from living plants and organisms. Egyptian Magic All-Purpose Skin Cream, The People’s Choice, has been on the market since August 1991 with a solid track record, a loyal word of mouth following, and twice the healing power for half the price of conventional skin creams. Alright…let me briefly name the ingredients. Egyptian Magic All Purpose Skin Cream contains olive oil, bees wax, honey, bee pollen, royal jelly, bee propolis. Product of United States, a small compact container complete with natural ingredients, no additives, preservatives, fragrances, chemicals or parabens. All these ingredients have good moisturizing effect. What can I use Egyptian Magic Skin Cream for? The real question is, what can’t you use it for? We’ve been making Egyptian Magic for over twenty years, and our loyal customers keep surprising us with new creative uses. Egyptian Magic is one jar that contains a face cream, an eye gel, a hair masque, burn and wound relief, a baby cream, a shaving balm and anything else you can think of! We’ve even heard from veterinarians who use it on horses after surgery. If you think you’ve got a unique use, head over to our facebook or twitter and let everyone know about it! Every day, we hear from customers who seen incredible results using Egyptian Magic on their eczema, psoriasis and other skin ailments. Egyptian Magic is not a medicine and we make no medical claims for the product. But we encourage you to read some of the testimonials on our website. We also offer a 100% money back guarantee so you can try Egyptian Magic risk free and see how it works for you. Does Egyptian Magic work on acne? There is a lot of debate about whether to use oil-based or oil-free products on acne. A popular belief is that using oil-based products on your skin causes your body to stop producing oils, and results in smooth, clear skin. The testimonials from our customers indicate that Egyptian Magic is very effective in treating acne and some acne scarring, but we do not claim that Egyptian Magic is a treatment for acne. Do you know Vaseline?? The smell and texture is nearly similar. Because its fragrance free, so do not expect it to have any fruity or rosy smell. LOL! 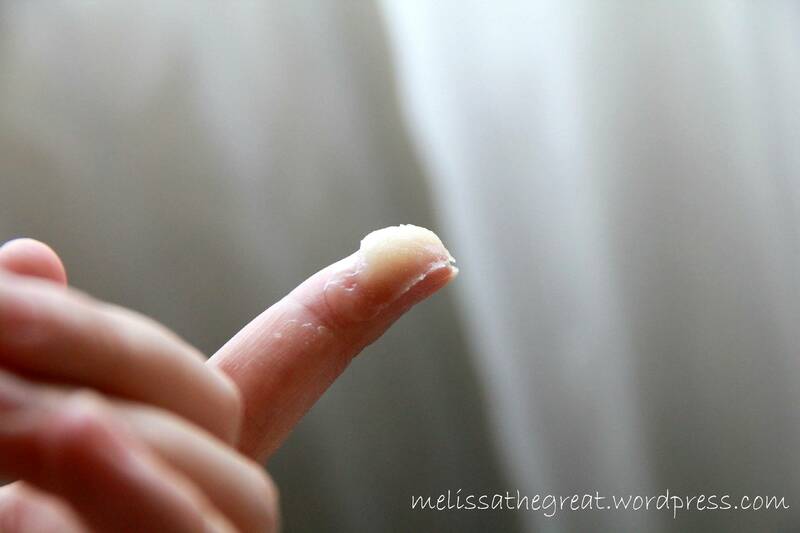 Its also abit greasy, that is why it works well as a moisturizing cream. I’ve tested and also witness the result on me during this few situations. Situation 1 : When I was cooking or precisely frying; some hot oil accidentally pop on my hand. Not alot, but it turned red. 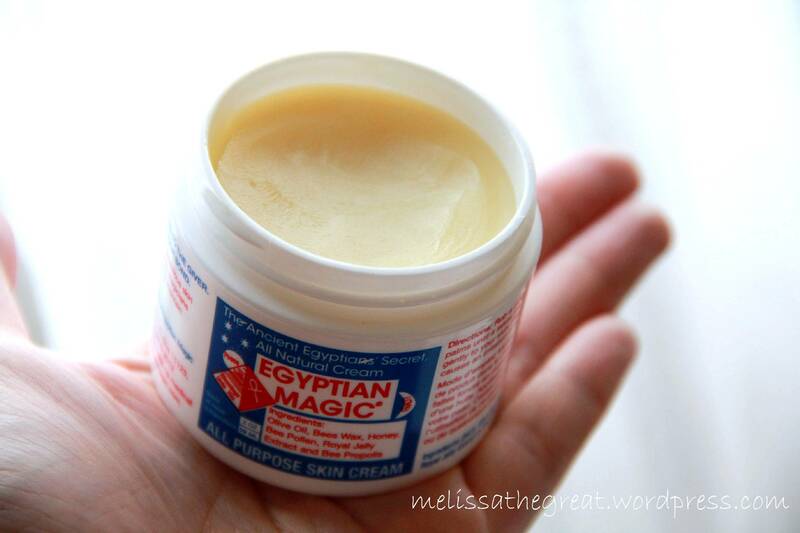 Without hesitation, I quickly applied a small amount of Egyptian Magic All Purpose Skin Cream. Surprisingly it soothes the pain. I continue applying it for few rounds, it recovers the following day. Situation 2 : My toe nails look so dry and unhealthy. So I tried applying a layer of Egyptian Magic All Purpose Skin Cream on my toe nails. The next day, my toe nails look revive. Situation 3 : I started to use Egyptian Magic All Purpose Skin Cream as my night cream after my face cleansing. I took a small amount and rub on my palms before patting it on my face. I woke up the next morning looking radiant and my face looks less dull. It really works better than some of my facial mask. Other than that; it can also use as make up remover. 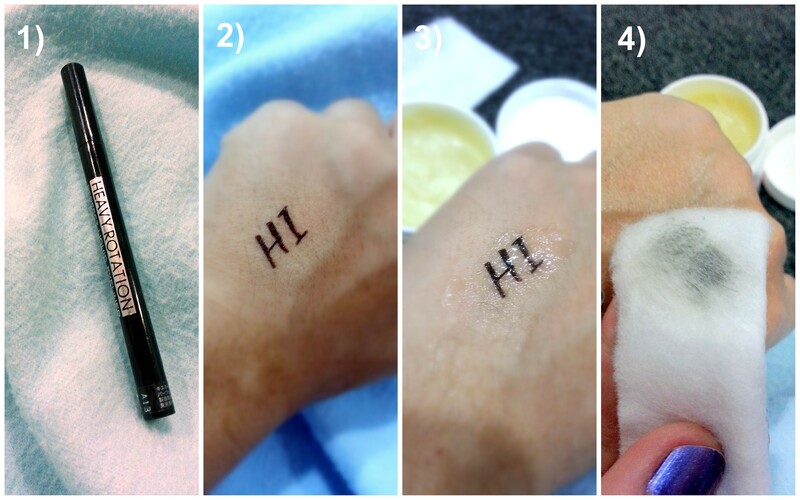 I tested using a waterproof eyeliner. Swipe a small amount of Egyptian Magic All Purpose Skin Cream on to that particular area. I use a piece of facial cotton to gently wipe off. Are you feeling anticipated to try out this cream? Well, Natta Cosme is now giving out 2 trial pack (2x3ml sachet) inclusive of postage to the first 10 readers who successfully completed this form http://www.nattacosme.com/2013-Giveaway-Event. Simply key in Melissa’s EMC sachet give away on the first question. The rest are followed by your personal details. Sounds promising! I have extremely dry skin and frequent eczema flare ups. Might give this a go. Mel Mel, the cream doesn’t work for everyone. But d statement only on face la.. cos i still think it is a good product for cracked heel. I tried few years ago. I found it too oily for my face, instead of given me a hydrated face, ended I got lotsa pimples pop out. But I saw lotsa girls commented it worked wonder for them. And a big bottle can last u more than half year! (according to the girls’ reviews la). and the price consider cheap compare to other branded product. Just too bad it doesn’t suit me. Mag…. It would be oily if apply alot. So, for face I only use very little, enuf to cover my face. haha but i never tot use it for makeup remover ler. nice! Then you’ll look like Cleopatra? LOL!!! I love the product’s name – and it has a lot of premium ingredients too! I remember when bee propolis was a huge thing, when I was growing up. Very expensive stuff. Past one year I am facing issues with Melasis on my skin .I have tried lots of home remedies and face treatment but it has not lightened . I am not sure if this cream will help..please advice.